Soranyi is one of the most successful young Dominican business owners in the area. 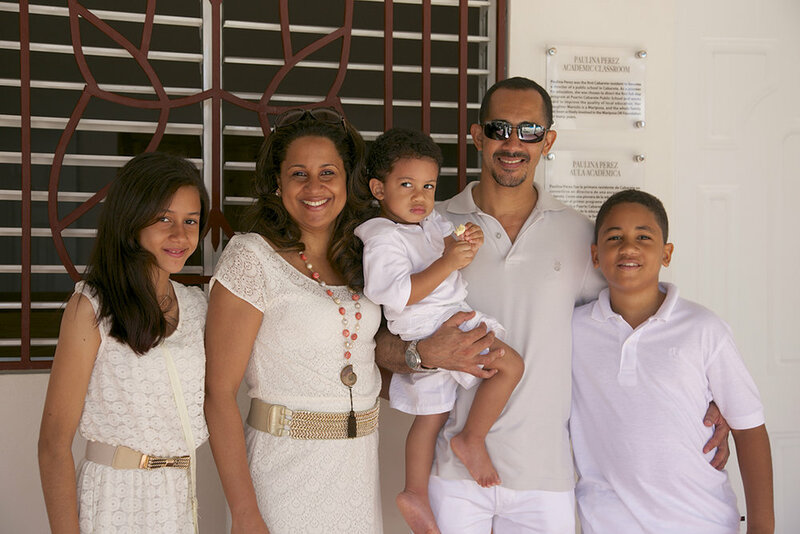 She started her accounting career working in a firm in Sosua, which led her to found her own business, Lugo & Asociados. Soranyi is a trusted advisor and service provider to many of the North Coast’s largest and most successful hotels, real estate firms, legal offices and private investors. Soranyi has been instrumental in helping The Mariposa DR Foundation manage financial matters in the Dominican Republic since our inception in 2009. In 1992 Patricia Thorndike Suriel arrived in Cabarete, Dominican Republic and founded Iguana Mama Mountain Bike and Adventure tours, an eco-tourism company that helped put the Dominican Republic on the map as an international adventure destination. Offering her clients discounts up to 25%, if they donated children’s books in Spanish; Suriel was able to build three small libraries at local schools. The building of these libraries, lead to the founding of her first “not for profit” in 1999 “The Friends of the DR.”. In 2002 with Suriel at the helm, this same organization moved into working full time and became the Dominican Republic Mentoring And Education Project the DREAM Project.